After successfully launching its Bristol showroom last month, premium furniture retailer Arlo & Jacob reveals the opening of a third UK showroom in Harrogate on 28th September 2018! Situated in one of Harrogate’s popular shopping destinations, along the tree-lined parkland of West Park, the new showroom is housed amongst a mixture of traditional and modern buildings, and is just a short walk from convenient transport links with free on-site parking for up to 12 cars. Spanning 5,700 sq ft. of retail space, the latest Arlo & Jacob showroom will bring six new jobs to the area and beautiful interiors. 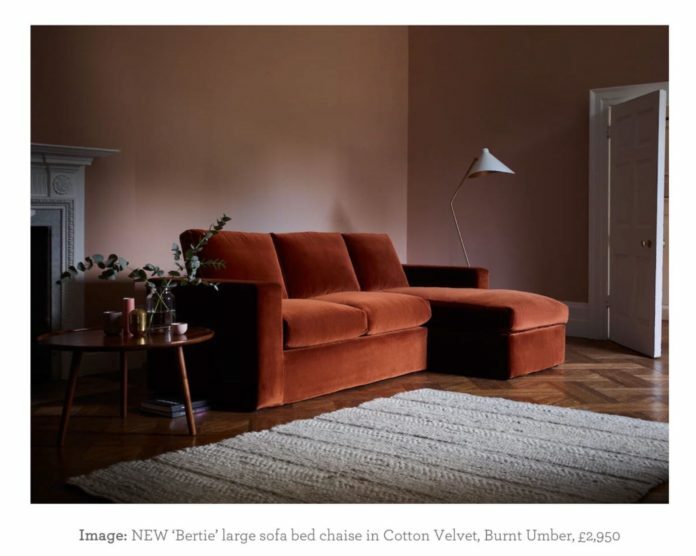 The showroom will feature over 70 products from Arlo & Jacob’s existing collections whilst also introducing a new member of the sofa family, ‘Bertie’, a modern, multifunctional and modular range that includes six different sizes and shapes for customers to choose from. With designs to suit every taste, visitors to the showroom will be able to view the collections first hand, while browsing the retailer’s extensive library of over 120 house fabrics. Customers can also relax and unwind in the showroom’s café offering refreshing beverages to be enjoyed after perusing the collections in the showroom. Next articleFive things I learn’t when I went for a Bottomless Brunch!